Sure, your windows let in the light and fresh air, but sometimes they can be letting a little too much fresh air. 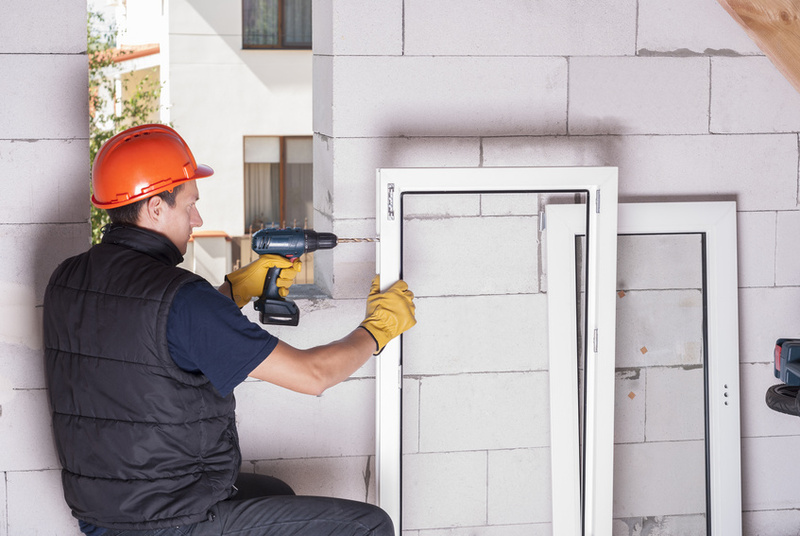 If you’re feeling more drafts than usual, you know your windows are older, or a particularly nasty storm has just blown through, you may want to consider contacting a window company and talking about replacing your windows. Residential window replacement is a bit different than commercial window repair and you want to know what to expect. However, just like if you were getting a quote for commercial window repair, you’ll want to get in touch with a number of professionals and have all the information at your fingertips before making a final decision. So here’s what you should be looking for and how to tell when you need to replace, not just repair. How Can I Tell If My Windows Need an Update? If your windows are older than 20 years, you might want to start thinking about an update. Generally, the accepted lifespan of high quality windows that are well-maintained is about 20 years or even a longer, depending on what your windows are made out of. It’s a no-brainer that if you’ve suffered storm damage or if they’re warped or broken, that it’s time to replace them. If you’re renovating your home — as almost two-thirds of homeowners plan to — that can also be a good time to simply do away with the old and let in the new. And, if you’re looking to reduce your energy bills, replacing your windows should be high on that list. Drafty windows can bump up your energy bills by as much as 10-25%. If, on the other hand, you replace those windows with dual-paned windows, your new windows will be twice as effective at keeping heat and air-conditioning in the house. Safety should come first — if a window is cracked or in danger of shattering, you need to just cut your losses and replace it entirely before someone gets hurt. Minor issues like brittle putty (or total lack of putty) or not being able to move the sashes can be easily fixed. If you don’t totally have the budget to replace your windows, making some minor repairs and saving up for a total replacement works just fine. It’s when the issues start to stack up, that you should err on the side of replacing them entirely. How Do I Find a Good Window Replacement Company? Knowing what kind of windows you want installed is important. The window installers you employ may change a bit, depending on the type of windows you want. You want at least three detailed quotes from companies before making a final decision for the best compare/contrast. Remember the quotes shouldn’t just include prices, but when the contractor wants to start and when they predict finishing the job, what kind of materials they’ll be using, and a detailed price breakdown of what’s included and what’s not in the quote. Make sure you’re looking into their licenses, references, and reading their contracts thoroughly — we know, the fine print is boring, but crucial! You want to make sure that the contractor you’re hiring — whether for commercial window repair or a residential window installation — is accredited, reputable, and going to give you your money’s worth. Knowing when to decide it’s time to replace your windows versus just repairing them is important. It can save you money on your energy bills, keep you and your family safer, and give your house a facelift, all with one simple action. This entry was posted	on Tuesday, September 5th, 2017 at 9:04 pm	and is filed under Best windows, Chicago window installation, Commercial window repair. You can follow any responses to this entry through the RSS 2.0 feed. You can leave a response, or trackback from your own site.